Inhwan Hwang received his BS and MS degrees from the Department of Chemistry, Seoul National University, in 1977–1981 and 1981–1983, respectively, and his PhD degree (molecular biology, adviser: Chi-Bom Chae) from the Department of Biochemistry University of North Carolina at Chapel Hill, in 1984–1988. 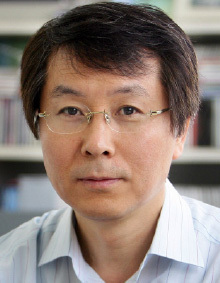 He was a postdoc (adviser: Howard M. Goodman) at the Department of Genetics, Harvard Medical School, in 1988–1993, assistant professor in the Department of Molecular Biology, Gyeongsang National University, in 1993–1998, and associate professor in the same department in 1998–1999. Since 1999, Inhwan works as a Professor at the Department of Life Science, Pohang University of Science and Technology. His research areas of interest are intracellular trafficking and targeting in plant cells, organelle biogene-sis and communication between organelles, cellular reprogramming, development of plant cells as a bioreactor system, and ABA metabolism and signaling. 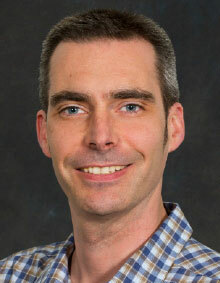 Matthew Gilliham is an Australian Research Council (ARC) future fellow and a chief investigator of the ARC Centre of Excellence in Plant Energy Biology within the School of Agriculture, Food and Wine, Uni-versity of Adelaide, Australia. Matthew’s research focuses on characterizing salinity tolerance mechanisms in crop and model plants, especially those related to membrane transport of Na+ and Cl–; the regulation of membrane transport systems by plant energy status, and C:N balance; the mechanisms of cell-specific nutrient storage; and the use of knowledge gained from the above in breeding programs to improve crop nutrient use effi-ciency and abiotic stress tolerance. Matthew earned his BSc (Hons) in ecology at the University of Lancaster and his PhD in plant science from the University of Cambridge, both in the United Kingdom. María Eugenia Zanetti obtained her PhD at the National University of Mar del Plata (Argentina) in 2002. Afterward, she joined the laboratory of Julia Bailey-Serres at the University of California, Riverside, as a postdoctoral researcher, where she conducted seminal research on the affinity purification of “trans-latomes” from specific cell types in plants. 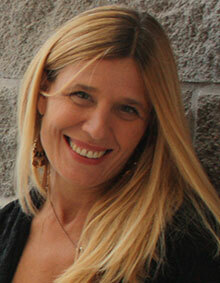 María Eugenia is currently a professor and researcher at the National University of La Plata and CONICET (Argentina). Her main interest is to understand the molec-ular mechanisms underlying the root nodule symbiosis established between legume plants and nitro-gen fixing rhizobium bacteria. Her research is focused on the characterization of transcriptional gene regulatory networks governed by the NF-Y and GRAS class of transcription factors during root nodule symbiosis. In addition, she is interested in understanding how post-transcriptional events, including both translational control and small RNA mediated effects, contribute to the regulation of gene ex-pression during symbiosis. 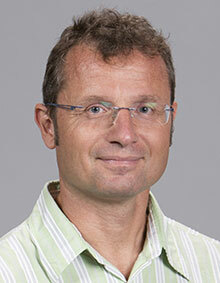 Dario Leister is a professor of plant molecular biology at Ludwig-Maximilians-Universitat in Munich. His lab is engaged in the regulation of photosynthesis and the integration of photosynthetic processes in the eukaryotic cell, focusing on intracellular signal transduction, posttranslational protein modification, thylakoid biogenesis, and synthetic biology. Dario is also head of the Copenhagen Plant Science Center in Denmark. He holds a PhD in genetics from the Max Planck Institute for Plant Breeding Research.